This All in One Beauty Box is your secret weapon for ageless beauty! Powerful anti-ageing ingredients will help slow down and reverse the signs of premature ageing. Your skin will receive antioxidants and trace elements which will boost the forming of collagen providing firmness and elasticity. Research shows that creams, serums & masks, packed with powerful anti-ageing ingredients such as seaweed, marine algae, peptides, hibiscus flower acids and stem cells, can help slow down and reverse the signs of premature ageing. • Powerful ingredients work by stimulating the production of new collagen and elastin. • Slows the effect of collagen breakdown, revealing healthy, glowing skin. • Affordable luxury, high performance Skin Care Range. ACTIVE INGREDIENTS: Algae extracts, Hexapeptide-11, Transveratrol, Soy & Rice Bran Peptides, Vitamin C Esters. USE: For all skin types especially for dry, ageing ones. We recommend applying a small amount around the eyes twice a day (morning and night) after the Flower Peel Serum. A multi-functional anti-inflammatory concentrate of hibiscus flower and green tea acids fortified with salicylic acid. Flower Peel comes in a soothing seaweed based gel which prevents any skin irritation to gently exfoliate skin and nourish it with powerful antioxidants. 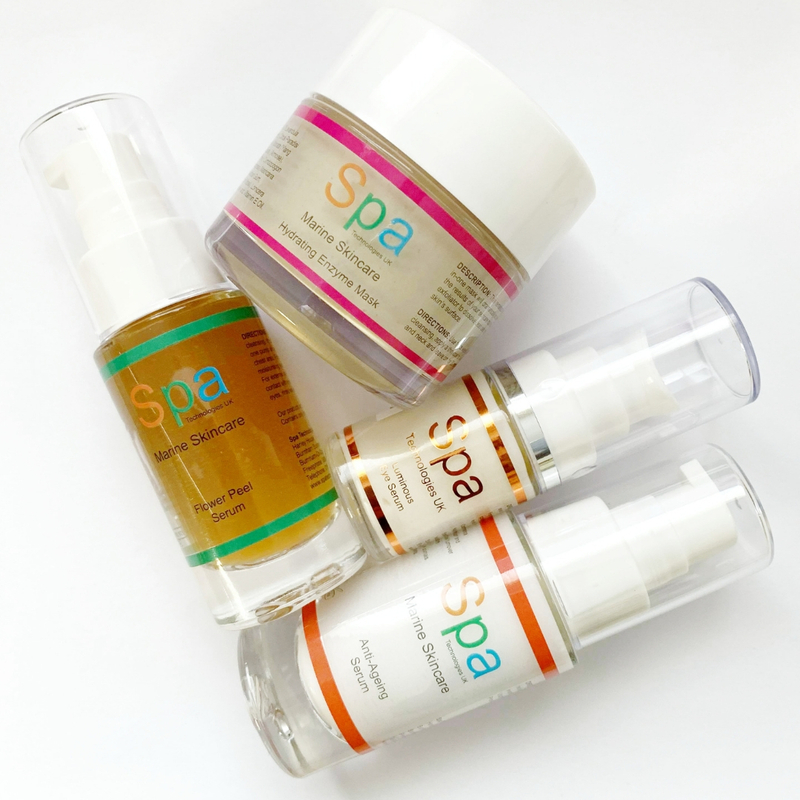 BENEFITS: Gradual exfoliation without irritations associated with alpha-hydroxy peels. Helps to decongest pores consistent with acne. Essential in treatment of rosacea. 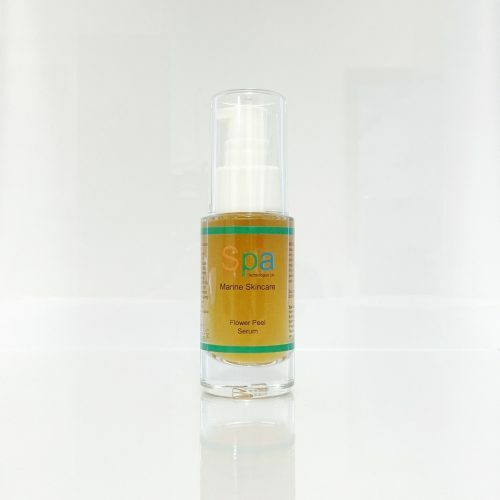 Allows basal cells to mature fully, strengthening the connective tissue matrix. Also prevents premature ageing of skin cells, smooths, tones and evens out skin while helping remove fine lines and wrinkles. 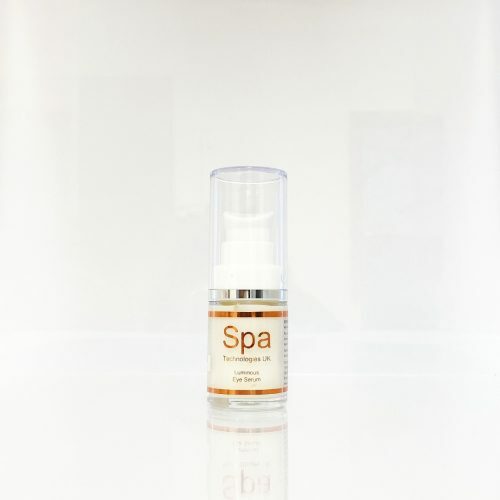 Our unique Flower Peel Serum works on all skin types for Anti-Ageing, Acne and Sensitive Skins. It preps the skin for a serum or moisturiser. 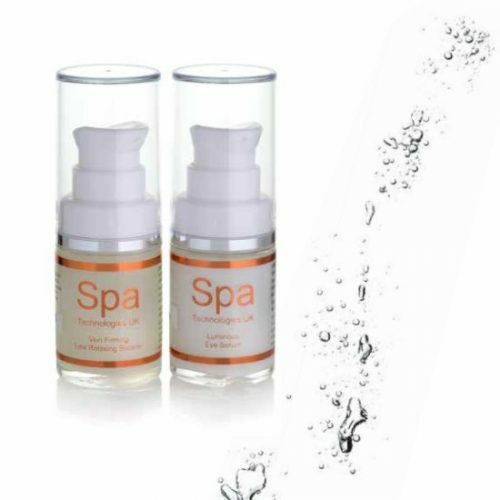 ACTIVE INGREDIENTS: Hibiscus Flower Acids, Salicylic Acid, Green Tea Extract, Laminaria Algae, Hyaluronic Acid. USE: Daily after cleansing. Apply over face, under the eyes and corner of eyes, neck and chest area. Let it dry (or not) before applying the Anti-Ageing Serum. A high performance skin treatmenT formulated with apple stem cells for skin rejuvenation and repair. It will greatly boost cell turnover and improve skin tone and vitality leaving it with a smooth, healthy, youthful looking texture. BENEFITS: Leaves skin with super surface texture, minimises fine lines and locks in moisture. ACTIVE INGREDIENTS: Apple Stem Cells, Hexapeptide-11, Sodium Hyaluronate, Algae extracts, Hibiscus extract. USE: May be used day or night as a base for make-up or as a finishing serum. This remarkable two in one mask will dramatically accelerate the results of your skincare routine. Enzyme exfoliator will gently dissolve dead cells from skin’s surface, while the hydrating cream mask will enhance hydration. Made from pure algae to improve the tone and texture of your complexion. BENEFITS: Regular use of this Hydrating Enzyme Mask will provide anti-ageing benefits such as less visible wrinkles and fine lines. ACTIVE INGREDIENTS: Laminaria Algae, Isotonic Seawater, Organic Honey, Lithothamnium Calcareum, Grapefruit Essential Oil, Blue Chamomile. USE: Twice weekly, at night. After cleansing, apply a thin coat to face and neck and leave on for 20 minutes. Remove with damp cotton. Follow with the appropriate serum or moisturiser. 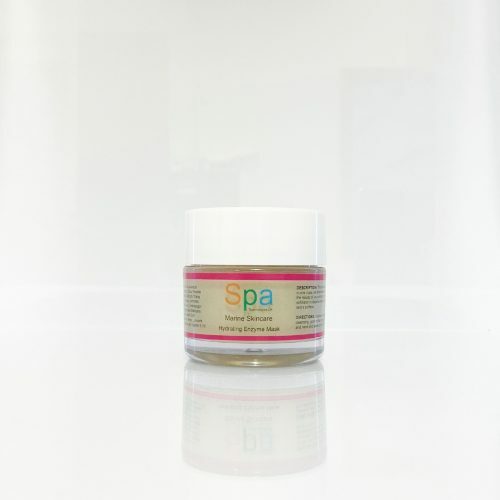 Ideal for dry and sensitive skin.